It's Not Serious! 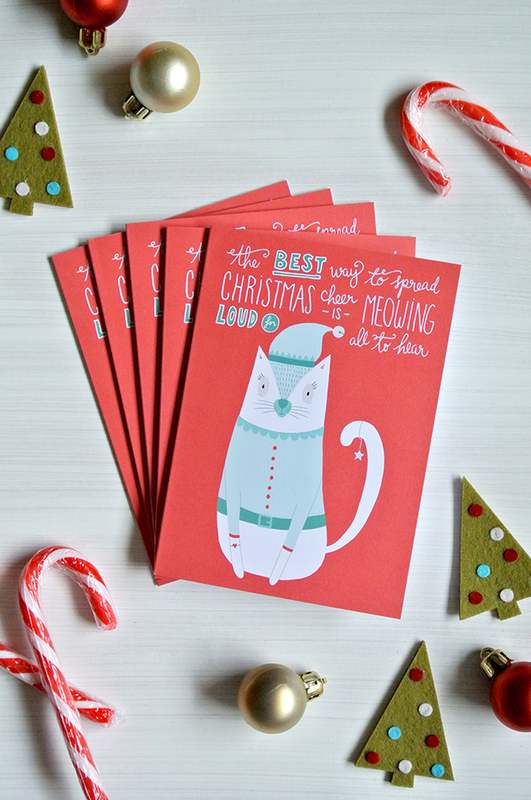 : New Christmas Cards on Etsy! 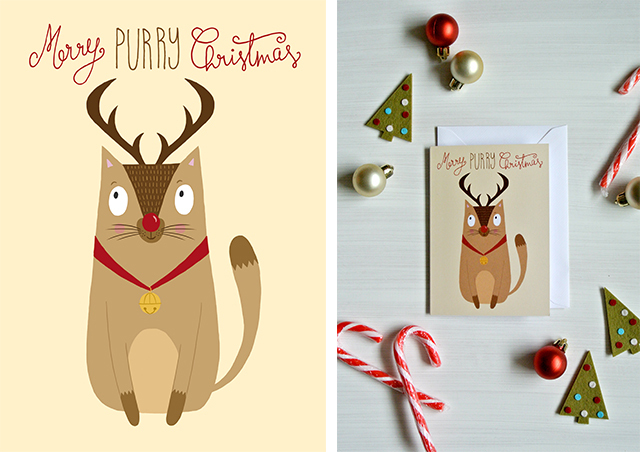 I know I know, it's a bit early to add some Christmas cards to my Etsy shop, but I just couldn't wait to show them to you guys! 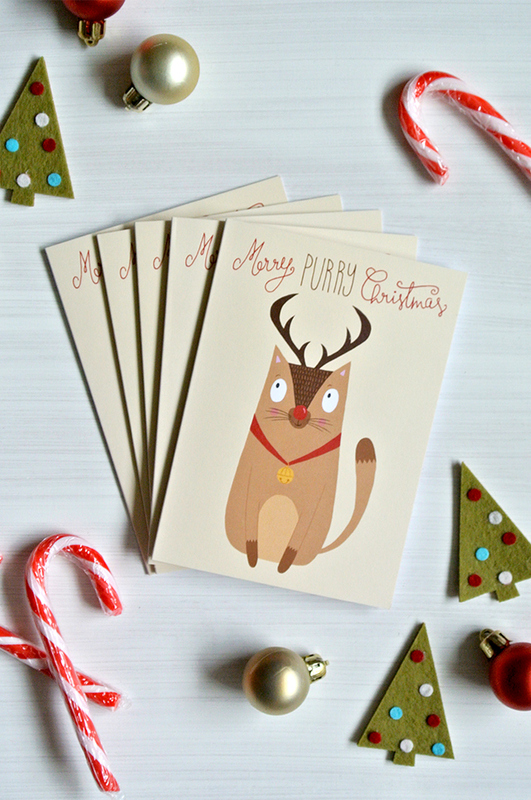 If you are a bit like me, you will be looking for Christmas gifts for the whole family really soon, and greeting cards are one of the most important things to think about (well, to me anyway). I always make sure to find the card that really reflects the person I'm going to give it to, and to be honest, I can rarely find some quirky, funny ones out there that are still cute and Christmassy enough. 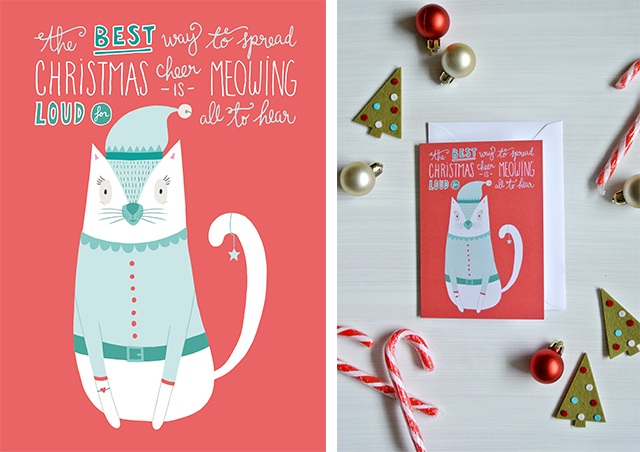 You can find Christmas Elf Cat greeting card right here, and Rudolph the Red Nosed Cat this way. I hope you like them and that they fill you with (just a little bit) of Christmas spirit, because even though we never want to admit it, the moment Autumn is here, we're all looking forward to Christmas!